It’s no secret that most pre-workout supplements are marketed towards men. The bright bold colors, the images of muscular male bodybuilders, and words catering to the majority of male fitness desires all contribute to a market that sees women in the minority. 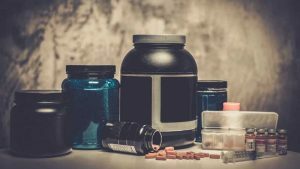 The simple fact of the matter, however, is that the best pre-workout supplements for women are often the same as the best ones for men. Even if the pre-workout is marketed towards men, the chances are that women can also take it. But there are many great pre-workouts specifically targeted towards women and designed with many female athletes’ needs in mind. This article is going to show you the best pre-workout for women by giving you a selection of five great supplements. Lean muscle matrix includes beta alanine, l-arginine, l-carnitine, and BCAAs luecine, isoleucine and valine. 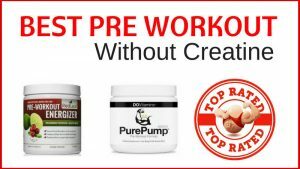 Why Should Women Use A Pre Workout? While working out is great we aren't always motivated or have the mental energy to face a gruelling workout A pre workout can really help you when you're feeling tired and let's face it, we ALL feel tired a lot of the time. Life is exhausting. Women, also, tend to have a lot more on their plate than men, particularly if they have children. They tend to juggle everyone's lives as well as their own. It's easy to feel overwhelmed and fazzled. A pre workout can really help you just get a work out done when you really do not feel up to it. Rarely does anyone ever regret doing a work out. It's usually skipping it for no real reason that we regret. 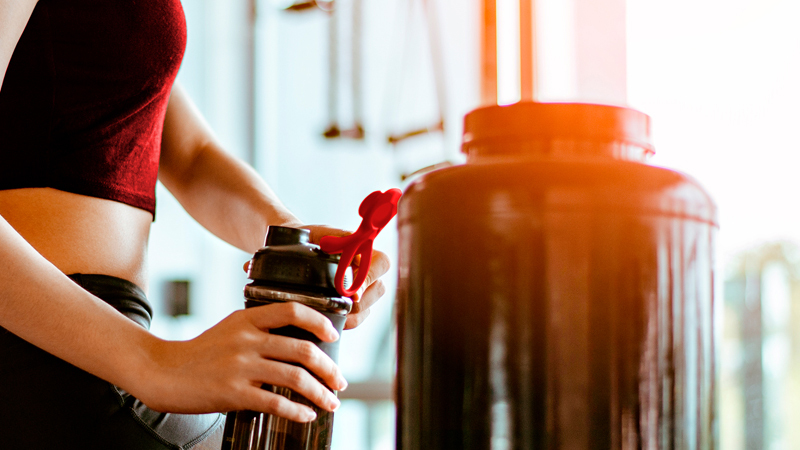 Besides helping you get through a workout on days when you'd rather be watching netflix on the sofa, there are other great benefits to using a pre workout. These can include mental focus, motivation and energy, aid fat loss, recovery and more. Despite these benefits, you don't have to take a pre workout to get into the best shape of your life. You can do it without one, its just a useful tool when you're not in the mood/feeling it. Weight loss - A pre workout can help you work out more effectively and for longer, therefor helping you burn more during your workout. They also help you recover quicker too so you will be ready for another intense workout again to burn those calories. Improved Focus - As mentioned, when you're tired you might not have the focus you need to nail a workout. Pre workouts help you focus on the task at hand. This is also beneficial if you are doing something complex which may lead to injury if you aren't fully focused. Reduced Soreness & Increased Recovery - Some of the ingredients in pre workouts help with muscle soreness and recovery. BCAAs, in particular, have been shown to reduce the damage done to muscles during intense workouts and therefore reduced muscle soreness. Quick Fuel - A pre workout can be a great way to get some fuel into you quickly before a workout. Maybe you are limited on time or don't have the option to eat beforehand. Then a pre workout is perfect for those times when you don't have the time for anything else beforehand. Are Pre Work Outs Only For Men? Absolutely not. Both men and women can benefit from a pre workout to increase energy, motivation and improve the quality of the workout. They are there to give an extra little push when you really aren't in the mood or feel like your body won't cope. Both men and women need that push sometimes, its not an exclusively male problem. Of course, there are some pre workout supplements that are formulated more for men than women but many are unisex or formulated for women. If you do opt for pre workouts that looks like it is for men, make sure it doesn't contain any testosterone boosting ingredients. That's all you really need to look out for. The easiest way to deal with pre workouts though is to look for one specifically formulated for women. There is a great selection to choose from. It used to be that women were much more focused on cardio and slimming down, while men would be in the gym pumping iron. These days women are just as likely to be found in the gym lifting weights. Fitness and sport is a much more equal ground than it used to be. Account For Your Weight - Women weigh less than men and generally can't tolerate as many stimulants as men. If you go for a general pre workout rather than one formulated for women, then you may want to opt to take half the recommended dosage to compensate. The likelihood is the dosage is done based on an average man not woman. Caffeine Content - A moderate amount of caffeine can be benficial to any workout. If you are a big coffee drinker, you may need a bigger boost than someone who doesn't drink coffee or caffeine during the day. It's also worth noting that the upper daily limit for caffeine is 400mg and too much caffeine can mess with your mesntural cycle and reduce fertility. Aim for something moderate like 100-175mg rather than the higher ones that offer 300mg of caffeine. You may want to avoid caffeine altogether or opt for one with much lower caffeine. Creatine Is Your Friend - Creatine feels very male orientated but it isn't just for men. Don't feel like you need to shy away from it. Creatine can improve strength and lean mass in women. One study showed that women who took creatine for 28 days improved their body composition by losing fat and increasing muscle mass (1). It provides much needed energy at high intensity and has been shown to do so. Creatine isn't just for you if lifting weights is your main goal. It can be helpful with power and agility in other sports too. One study showed that creatine improved power and agility in female soccer players compared to a placebo group (​2). Fat Burner or Energy Boost? - There are a few different pre workout supplements on the market for women that focus on different things. Some focus specifically on energy and focus while others will focus on fat burning. Consider your main goals and purpose for using a pre workout before buying. Some products do offer the best of both worlds too, but if you are only interested in fat burning or only interested in focus and energy then you don't necessarily want to opt for that choice. Iron - Men and women have different nutritional needs and low iron is a much bigger issue for women than it is men. Iron is one of the most common nutritional deficiencies among women in sport/fitness. Consider whether your pre workout contains iron - it may be a good way to get additional iron in without taking a separate supplement. Read warning signs - Some pre workouts contain stimulants that are not recommended for women who are pregnant or lactating. Read labels to ensure that the pre workout is safe to use. With that out of the way, let's take a look at thev top 5 pre workouts for women with our list below. I absolutely love this supplement and it definitely has a shot at winning the best pre-workout supplement for women award. It’s got beta-alanine, BCAAs, glutamine, l-arginine, green tea, and raspberry ketones, which work great for any woman trying to lose some fat. Beta alanine delivers carnosine to your muscles and helps reduce muscle fatigue. It also helps you gain lean muscle, educe body fat and increase strength. It also contains raspberry ketones for their fat burning properties. Just one scoop of this before hitting the treadmill, track, or weights, and you’ll feel like you can take on the world. It’s also a super healthy pre workout compared to other ​supplements on the market and tastes delicious. I recommend the Natural Cranberry Lime flavor. There’s no sugar or carbs and the ketones help anyone who’s on a low-carb diet. You really can’t go wrong with this supplement! 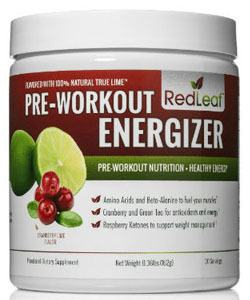 Red Leaf also has 40mg of caffeine which is the equivalent to a cup of coffee. 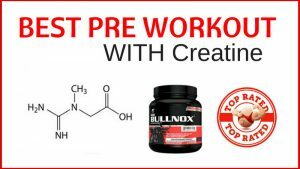 If you find other pre workouts contain too much for you then this may be the perfect solution. Many users felt this was great for them as they were sensitive to the ingredients of many other products. Generally most people did not experience any side effects or bloating with Red Leaf either. PROS – ​No jitters, great pick me up and energy boost. Delicious flavors. ​Perecft for those sensitve to stronger pre workouts. CONS – ​Caffeine amount may not be enough for some people. It’s also super healthy compared to other pre-workout supplements and tastes delicious. I recommend the Natural Cranberry Lime flavor. PROS – ​​No jitters, great pick me up and energy boost. Delicious flavors. ​Perecft for those sensitve to stronger pre workouts. CONS – ​​​Caffeine amount may not be enough for some people. 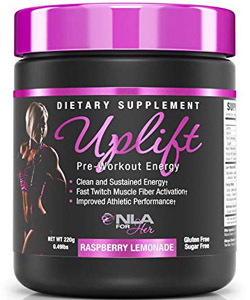 Just one look at the packaging on NLA For Her Uplift and you know this product has been designed with women in mind. It's been scientifically formulated for women to offer improved endurance, more energy and no jitters. It includes a nootropic brain mix which includes DMAE which is thought to increase the body's supply of acetylcholine - a neurotransmitter that improves mental function and mood (​1). This supplement also uses an energy complex made up of amino acids, B vitamins, caffeine, and a few different nootropics. The result? A clear mind and great physical endurance. There’s no jitters or upset stomach with this pre-workout supplement. It doesn’t have a massive caffeine boost but just a little to get you into the zone. Take a scoop or half a scoop 30 minutes before your workout and you’ll have a fantastic session. I’m pretty good with most tastes because I’ve experienced some really foul tasting supplements so I don’t mind the Raspberry Lemonade flavor of this supplement. Other women seem to think this doesn’t taste too great. My advice is to add a few drops of Crystal Light and then it tastes great! PROS – ​Will help motivated you to stick to a workout plan and workout more. Many customers felt this was a game changer to their fitness goals. CONS – ​​Didn't help some customers with their workouts. PROS – ​​​Will help motivated you to stick to a workout plan and workout more. Many customers felt this was a game changer to their fitness goals. CONS – ​​​​Didn't help some customers with their workouts. Naked Energy offers a pure, unflavored pre workout that only includes essential ingredients to boost your energy for a workout. There are no artificial flavors or additives to dress their pre workout up. It's simply what you need without the other fuss. If you're looking for something clean without all that other stuff then this is certainly the one for you. Naked Energy contains a few vitamins to help with energy, restoration and healing. It includes vitamin c, b3, b6, folate, b12 and calcium. It also contains 2g of beta alanine which has been shown to help with endurance and stamina. It can also help you work at or above your lactate threshold for longer than you would normally be able to, so plays a role in delaying fatigue. Naked energy also includes some creatine which is helpful for muscle growth and strength. L'arginine also backs this up with its ability to help protein synthesis. Naked Energy's caffeine content is a little higher than the other products on this list. It sits at around 200mg which is a good dose of caffeine and a much more effective dose to those who tolerate caffeine well or are used to caffeine. This pre workout is great because it only has 10 ingredients and they are all clearly shown on the label. Many pre workouts can have "blends" which leave you confused about how much of a particularly ingredient has been added. This has none of that. PROS – ​​For many people this stuff works and has become a staple in their workouts. There are no filler or artificial ingredients. It just provides the energy you need. CONS – ​​As an unflavored pre workout, the taste may be difficult to get used to. PROS – ​​​​For many people this stuff works and has become a staple in their workouts. There are no filler or artificial ingredients. It just provides the energy you need. CONS – ​​​​​As an unflavored pre workout, the taste may be difficult to get used to. ​When figuring out what supplement to take before a workout, ensure that you evaluate exactly why you want it. Do you want it just for motivation and an energy boost, or do you need it to provide more than that (i.e. looking for fat burner too)? 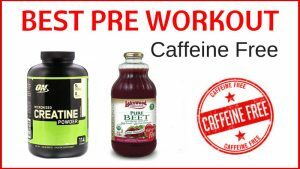 ​These 3 pre workouts for women are a great starting point for a top quality product that will give you a boost in energy, motivation and stamina in your workouts.